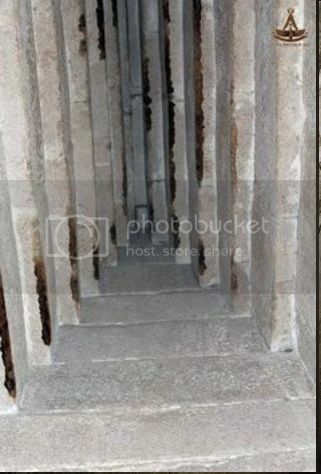 I wonder why they didn't adopt the same finish to the Red and Bent pyramids roof, where they brought the walls to almost touching, was it because the Red and Bent chambers are not sloping ? The Red and Bent pyramids roofs. I would like to know what kind of set up is going on above the roof of the GG, as you would not think they have piled tons of masonry directly on top of Jagged slabs . is there some sort of void running the length of this GG ?